The Young and Restless—25 to 34 year-olds with a bachelor’s degree or higher level of education—are increasingly moving to the close-in neighborhoods of the nation’s large metropolitan areas. This migration is fueling economic growth and urban revitalization. Using data from the recently released American Community Survey, this report examines population change in the 51 metropolitan areas with 1 million or more population, and focuses on the change in population in close-in neighborhoods, those places within 3 miles of the center of each metropolitan area’s primary central business district. 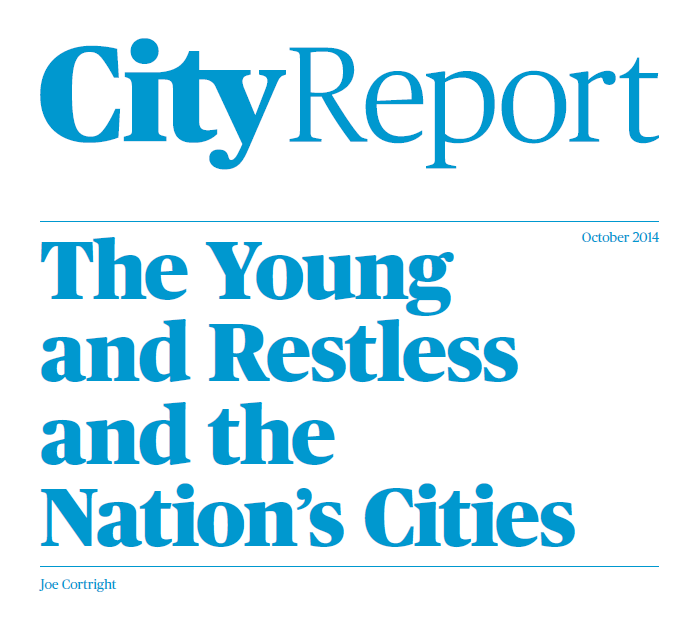 Urban cores attracted increased numbers of young adults even in metropolitan areas that were losing population and hemorrhaging talented young workers. Metropolitan Buffalo, Cleveland, New Orleans and Pittsburgh, all of which experienced population declines over the past decade, saw an increase in the number of young adults with a college degree in their close-in neighborhoods. (In these cases, the numerical increases were from small bases, but show that the urban core is attractive even in these economically troubled regions). Overall these close-in neighborhoods have higher levels of educational attainment among their young adult population than the overall metropolitan areas of which they are a part. The college attainment rate of young adults living in close-in neighborhoods in the largest metropolitan areas increased to 55 percent from 43 percent in 2000. Outside the three-mile urban core, educational attainment rates increased slightly from about 31 percent to about 35 percent. Talented young workers are both economically important in their own right—playing especially important roles in meeting the labor needs of fast-growing knowledge-based firms—and also as a kind of indicator of the overall health and attractiveness of a metropolitan area. And despite the decline in overall migration rates in the U.S., they remain highly mobile. With a million young adults moving each year, the stakes are large. Cover Photo courtesy of Total Due and Flickr Creative Commons.